Delivered at the 35th anniversary of the Mises Institute, October 2017. So there we were, heading off to Auburn for their high school spring break, a 15 hour car ride from our home in New Jersey. I wanted to find something to keep our minds occupied while traveling and thought we might as well get a jump start on Austrian economics. Joe Salerno had mentioned in an email reply to Walter that 2012 was the semi-centennial of the publication of Rothbard’s Man, Economy and State, so I bought the audio book before we left. The trip was a veritable Rothbard marathon, with time preference, value scales, the law of marginal utility, the emergence of money, all explained with brillance and clarity that even non-specialists like ourselves could follow. Man, Economy, and Stat... Murray N. Rothbard Best Price: $26.45 Buy New $30.00 (as of 09:25 EDT - Details) Miles flew by as we were first stranded on a desert island with Robinson Crusoe picking berries, then exchanging with Jackson before moving on to a more complex economy at work. There was just one moment during the reading of a long chart with many, many horses and many, many barrels of fish that my daughter fell asleep (what they say about counting sheep must be true), but it was a short nap. For the rest of the time, my kids listened along with me, sometimes stopping the CD to comment. So I guess you could say that Rothbard accompanied us to our first Austrian Scholars Conference, where some of the distinguished speakers here this weekend were presenting papers that brought us right into the thick of things. As it turned out, the book I was completing, The World beyond Europe in the Romance Epics of Boiardo and Ariosto, already had a generally anti-statist perspective even if without the theoretical underpinnings of Austro-libertarianism. I was able to insert a couple additions in that direction, including a reflection by Rothbard on the medieval wars between Germany and Italy from his work Economic Thought before Adam Smith: An Austrian Perspective on the History of Economics. 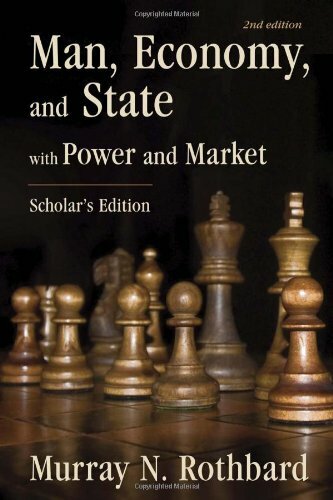 Since that time, libertarian philosophy and the Austrian School of Economics have been front and center in my academic research, in articles on Machiavelli, on Marco Polo, on Renaissance fiction, and in a volume co-edited with Carlo Lottieri entitled Speaking Truth to Power from Medieval to Modern Italy. 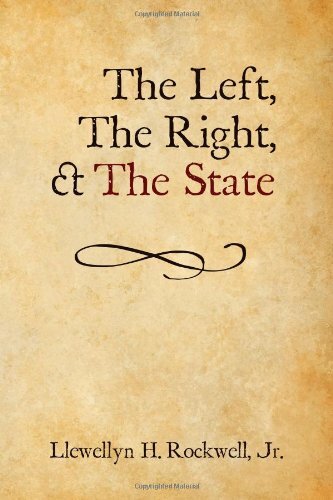 In these recent publications in libertarian literary criticism, I’ve supported my arguments with insights not only from Mises and Rothbard, but also from Franz Oppenheimer, Hayek, Hoppe, Nesbit, Nock, Anthony de Jasay, and Tom Di Lorenzo, among others. And many of these essential readings have been readily available thanks to the publications of the Mises Institute and the downloadable pdfs on their website. To conclude, then, what seemed back in 2012 to be a distraction from my academic research has turned out to be an integral part of it. I still have much to read and learn, and also, hopefully, something more to contribute to the development of cultural libertarianism as a viable alternative to the cultural marxism still popular in academia. But, as the angel Clarence would no doubt remind me, if I ever do merit inclusion among Rothbard’s heirs, it will be because of Ron Paul, Walter Block, and Lew Rockwell. Jo Ann Cavallo [send her mail] (Ph.D., Yale, 1987) is professor of Italian at Columbia University and an Associated Scholar of the Mises Institute. Her latest book, The World beyond Europe in the Romance Epics of Boiardo and Ariosto (2013), won the Modern Language Association’s Scaglione Publication Award for a Manuscript in Italian Literary Studies (2011).